One of a relative handful of Fifth Avenue mansions surviving from the Gilded Age, the R. Livingston Beeckman House of 1905 at 854 Fifth Avenue is a temperate essay in French Beaux Arts by Warren & Wetmore, best known for Grand Central Terminal. Unusually narrow for a house of its type, it appears more so crowded in by its newer neighbors. Governor of Rhode Island in 1915 and a noted figure in East Coast society, Beeckman eventually sold the house as he came to spend more and more time in New England. 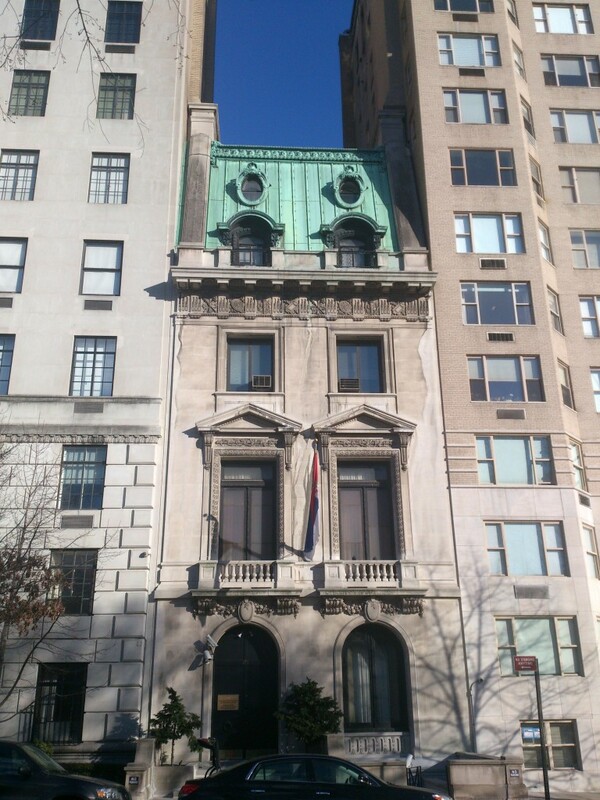 Cited by the Landmarks Commission for its “impressive dignity and restraint”, 854 Fifth Avenue is currently the Mission of Serbia & Montenegro.